Program Costs - Arundel Park Riding for Disabled Inc. 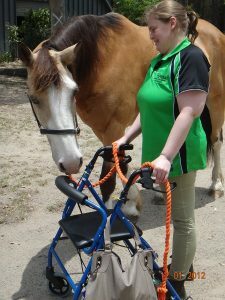 PLEASE NOTE: APRDA is transitioning out of state funding to NDIS funds, therefore RDA fees will no longer be subsidised and participants will be required to seek NDIS funding to help with our service costs. For all new Participants wanting to access APRDA programs, we require a written assessment to determine the support needs and goals for the new participant. 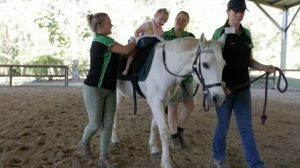 A written assessment is a half-hour non-riding session and we also offer a written and riding 45min assessment both conducted with a qualified RDA coach. $45 per session with a term booking. $55 per session casual rate. $50 per session with a term booking. $60 per session casual rate, limited spaces available. Per semester (after two full terms of participation), this is a half-hour meeting with the coach, participant and parent/support person. 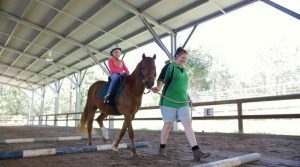 This supports participants that do not identify as having a disability and wish to join RDA group session. 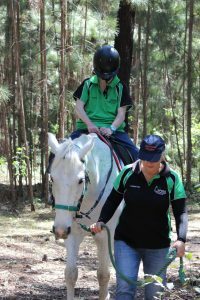 This is a specialised therapy that requires a Qualified Therapist /RDA Coach, Qualified Horse handler. Trained Horse and trained Volunteers. PLEASE NOTE: Each student will need to be assessed for suitability before commencing the ground skills program. 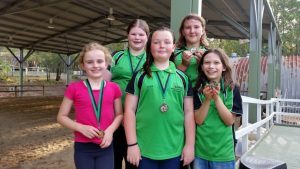 This allows our coaches to maximise the benefit of the program and to find suitable partnerships between horses and students. When you register for each Ribbon level of the Ready Set Trot Stable Skills program you get a new pack each time! Due to their popularity and limited numbers, we usually have a waiting list. 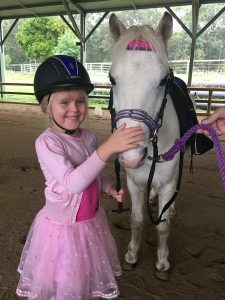 Ready Set Trot lessons run on a Friday afternoon from 3.30pm-5pm or Saturday mornings 9.15am-10.45am and require a commitment of one school term as a minimum. 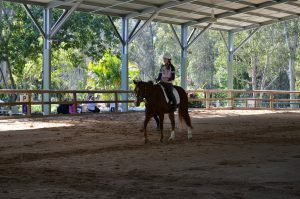 These sessions are for all riders that are totally independent and selected according to ability and horse selection. Due to the popularity and limited numbers, we usually have a waiting list for these sessions. 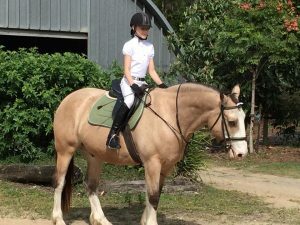 Independent rider lessons that run after school or on Saturdays require a commitment of one full school term at a minimum. We are offering 1 hour private sessions and these sessions may be limited due to available times and horse selection. We endeavor to issue our holiday program schedule three weeks prior to end of term. These programs are integrated with all participants pay the full cost. Due to the popularity of our holiday programs booking early is advised. To secure any holiday program activity, fees must be paid in full and all forms completed. Group Bookings (2 -3 hour sessions) pony / trail ride included price will be depend on the hours booked and number of participants in the group. This program is coming back to APRDA to provide support for participants that may fall outside our riding programs. We are seeking major and minor sponsor to help us start and develop this program and would welcome the opportunity to discuss this further.